Window graphics and lettering of all types give your professional office a one of a kind look that clients will immediately recognize. In addition, you achieve a drastic increase in consumer interest and brand awareness when you combine your window graphics with other marketing strategies. 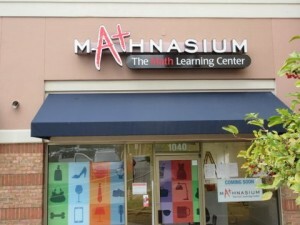 Fortunately, Citrus Sign Studio is one of the top providers of window graphics in Orlando, FL for professional offices. Read on to learn about what solutions are available for your venue. 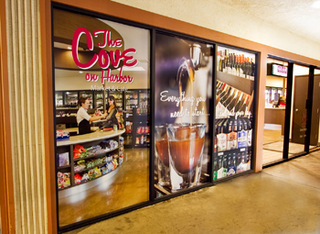 Glass doors are the ideal place for window lettering. If clients come to your office when you happen to be closed, lettering on your door will let them know your hours of operation as well as your contact information, so they can visit your website for help. You might also consider including other important information about your company, such as your professional affiliations, credentials, and a list of services or products you provide. If you are located in an office building, you probably have large floor to ceiling glass windowpanes that separate your reception area from your meeting rooms. And, as customers, employees, and guests walk by during your meetings, you may have noticed that it can sometimes be unnerving to actually meet in these rooms. You can put an end to the rubbernecking by putting etched vinyl window graphics to work for you. These vinyl films obscure the view into your conference rooms. You will give meeting attendees a degree of privacy when you go with just a three- or four-foot-wide horizontal stripe. You can also use frosted vinyl on your exterior and interior doors. In addition to giving you privacy, it can also display your business’s name or logo. We get a lot of requests for sophisticated etched vinyl lettering to display executives’ names on the doors of their offices. This is much less expensive than hiring a glasswork professional. It pays to include your branding on the doors throughout your complex. Thankfully, we have a broad array of vinyl films to pick from. We can perfectly match the colors in your logo. Plus, you can pick from neon, metallic, standard, reflective, and matte styles of vinyl. These are just a few of the ways window graphics are used in professional offices. Static cling and perforated vinyl are also popular. Static cling is ideal if you have a short-term marketing campaign that you want to promote. Whereas perforated window vinyl is used in areas where you do not want people to see in, but you still want to be able to see out. Additionally, they can display your marketing message. Do all of these options have you scratching your head? No problem! Our friendly professionals will help you find solutions that are ideal for your goals and budget. If you are interested in learning more about window graphics in Orlando, FL for professional offices. Contact Citrus Sign Studio today for a free, no-strings-attached consultation and quote.